Logo: Can Go with Your Logo Design. Material :acrylic fibers cotton blend. Fit Needle size: 8mm for Scarf. * Super soft and long lasting,Gentle hand wash or dry clean. If you still dont find what you need, please contact us. 1. Do I need to come to your factory to order? Welcome to visit our office and factory! But if this is out of your budget, do not worry; we can do everything through email, phone and post. 2. Which textiles/fabrics can you work with? We're good at making knitting yarns and knitting sweater, hats ,scarfs and so on. We're able to work with most kinds of materials. 3. What kind of techniques are you good at? spining ,dyeing,knitting ,1.5GG-14GG ,and all differents patterns etc. 4. Can I order samples first and then place the bulk order? Yes, we understand that customers want samples firstly, and then need a sales period to collect orders from their customers. This is not a problem; however, we will ask the customer for a small deposit of the bulk order. This deposit will be reimbursed after placing the bulk order. 5. Can I put my own label and logo on the clothes? 2) Sending your finished labels to us and we put them on the clothes (free of charge), but you will need to meet our MOQ. 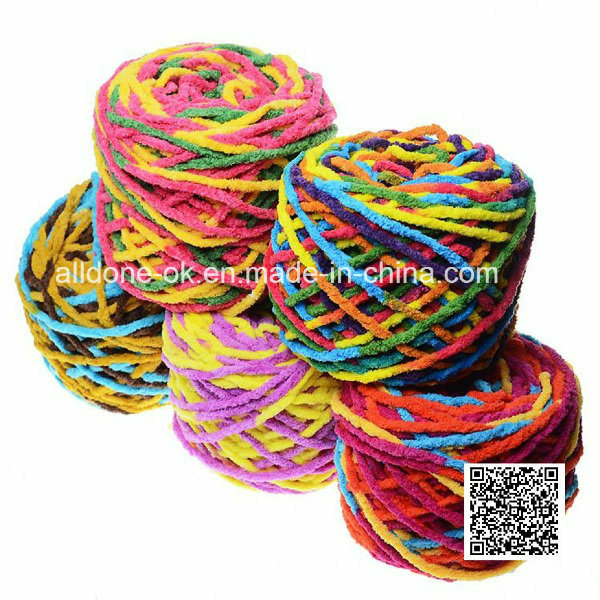 Contact us if you need more details on Hand Knitting Yarn. We are ready to answer your questions on packaging, logistics, certification or any other aspects about Hand Knit Blanket、Fancy Yarn. If these products fail to match your need, please contact us and we would like to provide relevant information.